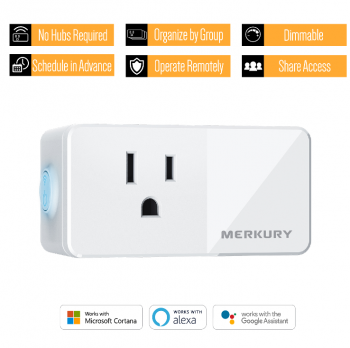 Merkury Innovations is the leading brand of simple, accessible, and useful smarthome devices. The Geeni app allows you to easily set up and control lights, cameras, smart plugs, and more using your smartphone. The products work with Google Assistant or Alexa to control devices with a simple voice command. Merkury gives you control and peace of mind, from across the room or across the country. 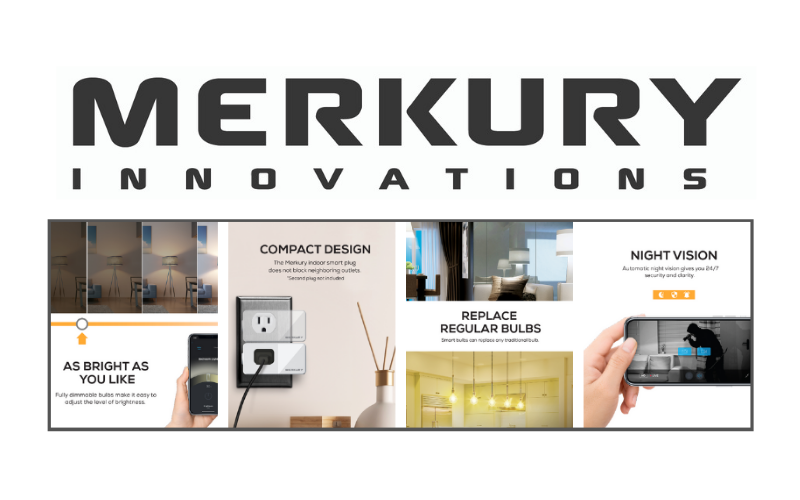 From smart outlets that allow you to control your electronic devices, to smart light bulbs that can adjust your lighting, Merkury Innovation’s products are designed to be functional and improve user experience. They’ll make your life that little bit easier and help you get the most out of your devices. Tryazon will select 100 participants for this opportunity!. Those chosen will receive a TryaBox with three different Merkury Innovations smart home products. Learn more about the products by clicking the tabs below! 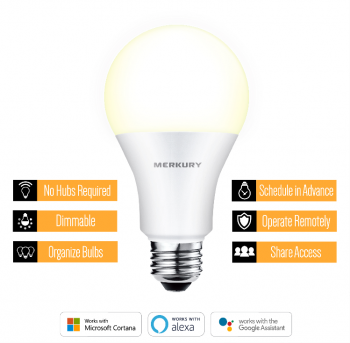 The Merkury 800 White Dimmable A19 Smart LED Bulb series are as bright as traditional bulbs for use throughout your home. Manage your lighting from across the room or across the country, using the Geeni app or (optionally) by voice using Amazon Alexa, your Google Assistant or Microsoft Cortana. 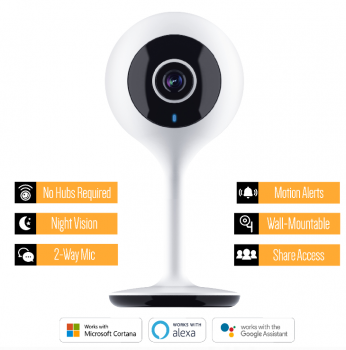 The Merkury Innovations Smart WiFi 720P Smart Wi-Fi Security Camera allows users to watch over their home with quality recordings plus speak and listen to those on the other end. Motion alerts to your phone let you always know what is happening in your house. It provides security and peace of mind when you need it. Paired with Google Assistant and Amazon Alexa, you can stream video to compatible screens. Start your humidifier before you even get home. Turn on a fan or a lamp. Just plug anything into the SMART PLUG and turn it on and off from anywhere with the Geeni app. Paired with Amazon Alexa, Google Assistant or Microsoft Cortana, you can control your electronics with just the power of your voice. Merkury Innovations Smart Home TryaBox Guide to help you with the sampling experience! With over 15 years in the business, Merkury Innovations has an unrivaled insight into retailing trends and product demands, as well as an ever-sharpening focus on living out their passion and connecting to their customers. Merkury Innovations specializes in accessorizing your personal electronics. A Smart home should feel magical and familiar, not intimidating and scary. It should alert you if something’s happening at home, and let you check in on what’s important. Geeni lets you manage lights, cameras, appliances, and more with one simple app, or by simple voice commands using Google assistant, Amazon Alexa ,or Microsoft Cortana. It’s easy to connect using your existing home Wi-Fi, with no special hub or gateway required. It keeps you in control. TryaBox sampling begins in April! We aim to develop useful, thoughtful, and easy to use smart home devices that leave you more connected and more secure.